If your company has previously issued stock certificates in paper form, then please let your law firm or onboarding manager know. The issuances will be marked as issued in paper and we will include an affidavit for the shareholders to sign indicating that they have either lost or destroyed the paper certificate and are accepting the electronic shares in its place. 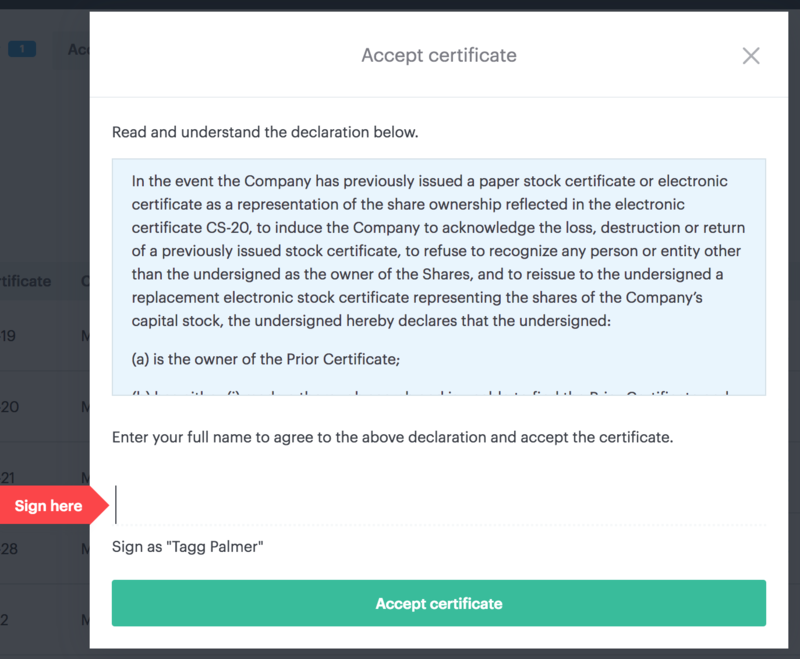 If you have already imported the company and would still like them to be marked as paper, please contact your onboarding manager or support@carta.com after you go live. If the shareholder has already accepted the electronic certificate, we will need to modify the certificate on our end.